Image: Tim P. Whitby - WPA Pool/Getty Images. Royal granddads — they’re just like us! While the adults in the royal family have long since become acclimated to constantly having their photos taken, the younger members sometimes need a bit of help warming up. Enter royal granddad Prince Charles. Or, as he’s affectionately known, “Grandpa Wales.” In celebration of his 70th birthday on Nov. 14, Sunday Times magazine tapped Prince Charles for this week’s cover. But he wasn’t alone — the family portrait included his wife, Duchess Camilla, his sons, Prince William and Prince Harry, their wives, Kate Middleton and Meghan Markle and, most adorably, William and Kate’s children: Prince George, Princess Charlotte and Prince Louis. 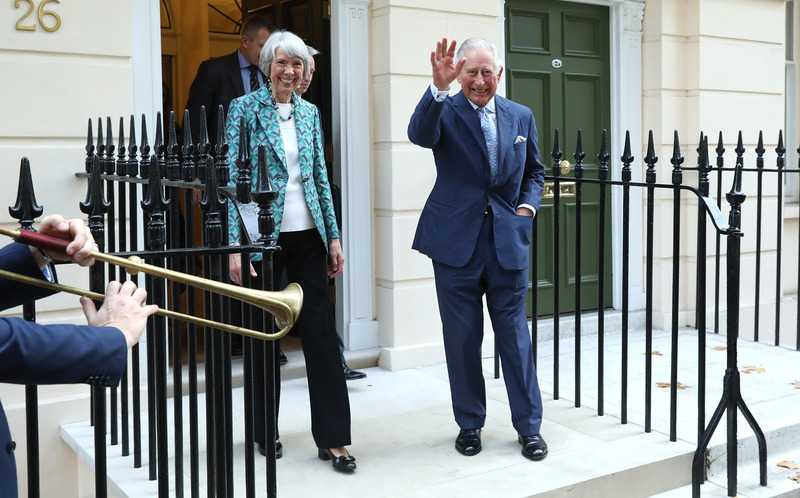 Naturally, the little ones required a bit of entertaining to open up for British royal photographer Chris Jackson, so Prince Charles stepped up to the plate. “He is a very hands-on grandfather. He was holding hands with George and Charlotte, and bouncing Louis up and down for a long time. George was very happy on the prince’s knee. They have a great relationship that’s a little more established, as George is a bit older,” Jackson told the Sunday Times. In addition to the cover photo, the Times released behind-the-scenes captures — including a shot of Louis grabbing Prince Charles’ face as the rest of the family looks on, laughing. It’s clear that Prince Charles shares a close bond with his three grandchildren, so it’s no surprise that he is reportedly looking forward to welcoming a fourth next year when Markle and Harry have their first child. The couple, who announced their pregnancy in early October, are expecting a baby in the spring of 2019. In other words, Prince Charles will soon have to make room on his lap for another bouncing bundle. Can you imagine how cute his family birthday photos will be next year?